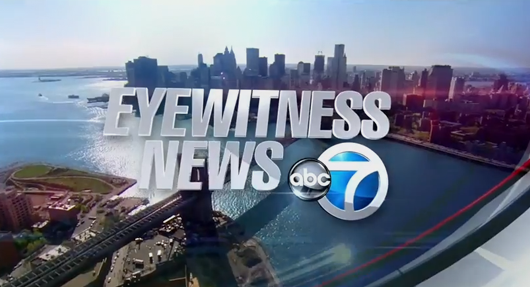 New York City’s ABC O&O, WABC-TV, debuted new graphics Monday from Giant Octopus. The new graphics feature the same circle 7 logo and colors as the previous package. The new opens are very simple and elegant and use HD beauty shots of New York City with some light waves passing through the city. Compared to the previous opens, the new ones are muted and refined. The in-show graphics continue to use bold reds and blues and look similar to the previous package but with more silver added. We’ll have a full graphics section poster later this week from WABC-TV. Update: The graphics were designed by Giant Octopus, an FX Group company.